Traveling to different places has always been my hobby ever since my teenage years. I love going to different places and experiencing how they live. Recently, I was able to visit Jerusalem. 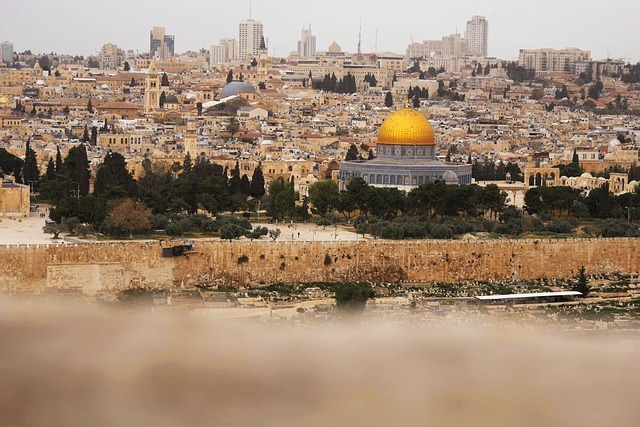 Considered one of the oldest cities in the world, I was able to experience some of the good things that Jerusalem offers to its visitors, you can see it here https://www.goldcarpet.co.il. When I arrived in Jerusalem, all I had with me was a map and my desire to tour the city even though I was not familiar with the place. Luckily for me, I was able to acquire help from Jerusalem tour guides. They arranged my route in the city and assisted me in visiting the different tourist spots in Jerusalem. I had my travel agency arrange a day trip for me to the Dead Sea since it was only a few miles away. To be honest, I really thought that the Dead Sea no longer had any water in it. But, of course, I was wrong. According the Jerusalem city tour guides that accompanied me on my day tour, it is known as the Dead Sea because, unlike other bodies of water, it contains a high level of salinity (around 33.7%). For this reason, animal and plant life cannot survive in this body of water, hence its name. The next site I visited was the Garden Tomb. This place is believed by Protestants, Evangelist, and other scholars to be the place where Jesus Christ was crucified, buried, and resurrected. Also known as Gordon’s Calvary, the place is a perfect site for praying and strengthening one’s faith. Aside from the Garden Tomb, I was also able to visit many tourist spots while I was in Jerusalem. This includes the Yad Vashem Holocaust Memorial, the Old City, the Israel Museum, and the Western Wall Tunnels. There were also plenty of climbing opportunities at some of the site stations and one more thing which we came across was the Torah writer ("sofer"), who specializes in ancient writings (calligraphy). The next day we visited Bethlehem, adjacent to Jerusalem – we saw the Church of Nativity, the Taybeh Beer Brewery, Old museum, Arafat's tomb and many other historical places. We took our lunch at a cafe in Bethlehem. Truly, traveling around Jerusalem has given me one of the best experiences of my life. But, due to time constraints, I was not able to visit all of the famous spots in the city. However, if given another chance, I would love to visit other famous spots like the Neot Kedumim Biblical Landscape Reserve, the Qasr El Yahud baptismal site, the Jerusalem Botanical Gardens, the Garden of Gethsemane, and many more.